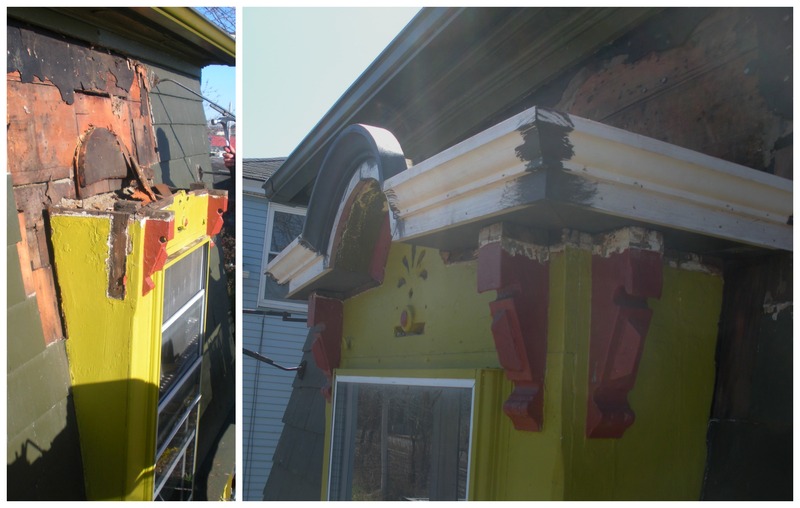 In this post we shall do a quick walk through of an arched dormer renovation process as well as include a small comparison of various roofing options for this particular project. 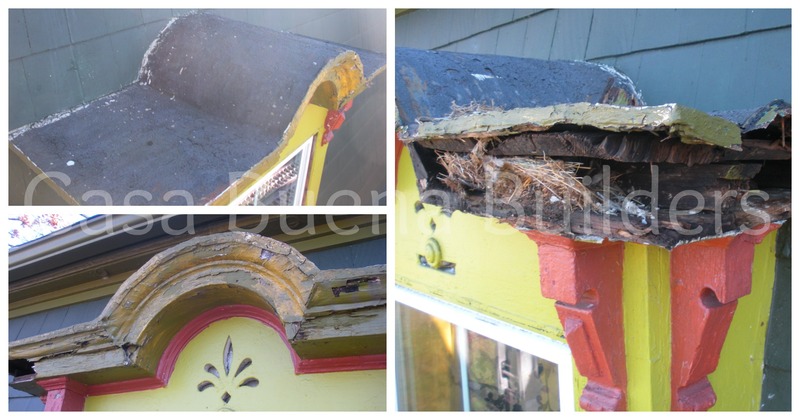 Here is the initial condition of the dormer. Wood is rotting, and birds have made their nest. 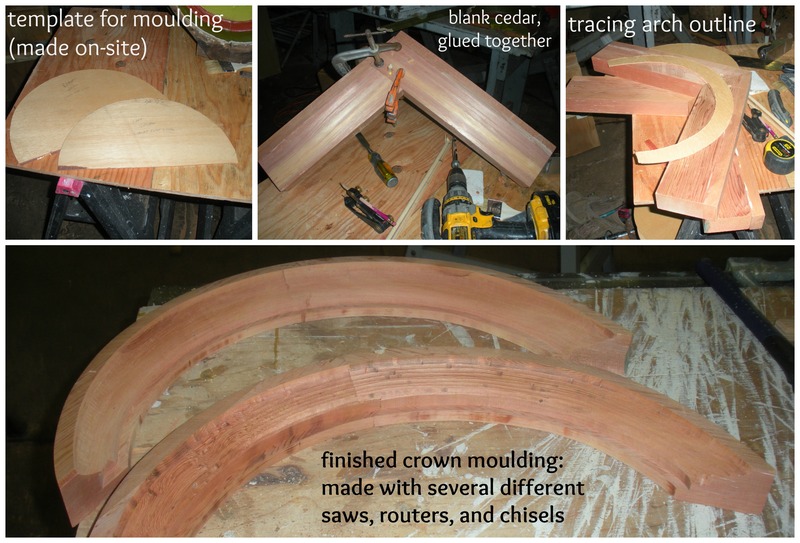 For this particular window a new arched crown moulding was handcrafted by our workers in the shop. 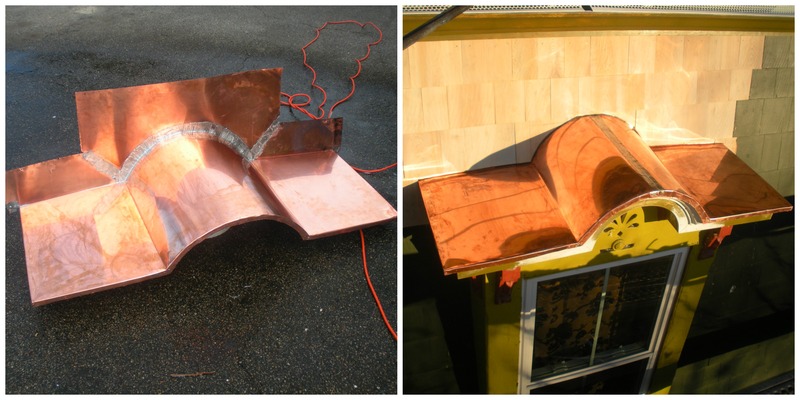 While the cost for a rubber roof verses a copper roof would be significantly less (nearly one-third the cost), the durability of copper is much greater; 16 oz. copper (as in the roof above) will last more than 70 years, while rubber would last in the 12-15 year range. As always, if you have any questions do not hesitate to ask!